SAM OUTLAW CROSSES OVER FOR ATLANTIC-SIDE SHOWS THIS JUNE. 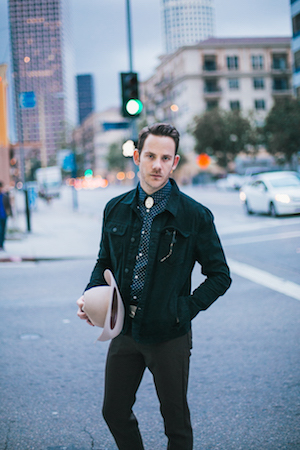 California country artist Sam Outlaw makes a rare trip to the Atlantic side of the country with upcoming shows down the Eastern Seaboard this June. Outlaw continues to tour Angeleno, a debut record that has shown impressive legs by supporting multiple headline jaunts across the USA and the UK and Europe since its release in 2015. Angeleno’s stamina comes from its depth and variety, and all the ways Outlaw can make it hurt. It’s easy listening, but hard hitting. Music critic Jeff Weiss recently profiled Outlaw for LA Weekly in advance of his performance at Stagecoach Festival, the perfect setting for Outlaw’s SoCal country sound that has also earned Nashville’s attention. As Weiss writes, “Angeleno made him a legitimate contender to be the biggest country star L.A. has produced since Dwight Yoakam.” Brooklyn Vegan also included Outlaw in their Stagecoach spotlight. Read the full LA Weekly piece here. See Sam Outlaw on the eastern edge this June. https://sixshooterrecords.com/2011/wp-content/uploads/2017/11/17-ssr-logo-home.png 0 0 Sarah https://sixshooterrecords.com/2011/wp-content/uploads/2017/11/17-ssr-logo-home.png Sarah2016-05-18 18:22:042016-05-18 18:22:04SAM OUTLAW CROSSES OVER FOR ATLANTIC-SIDE SHOWS THIS JUNE. THE STRUMBELLAS HIT VIP YELLOW. INTERSTELLAR RODEO YEG + WPG SINGLE DAY TICKETS ON SALE NOW.